Cloud-based printing is also referred to as PrintNode; the terms are used interchangeably here. Cloud-based printing can be set up as the default for label printing for your entire company, your winery (if in a multi-winery setup) or individual user. 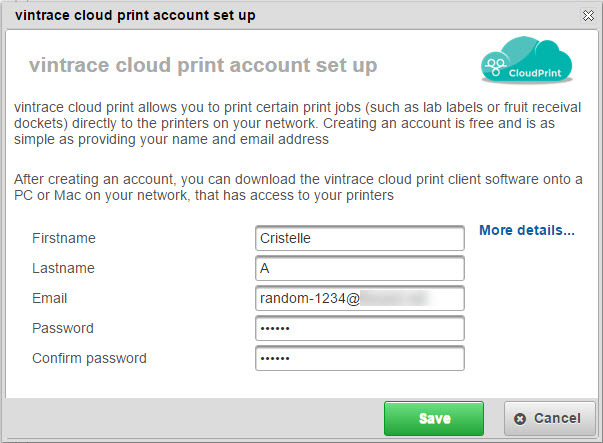 Important: Please note that you need to be a local vintrace administrator to be able to do an initial setup for the cloud print. 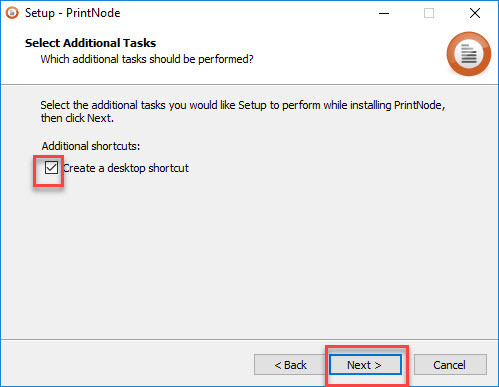 After the initial sign, non-admin users may add the PrintNode utility to their System user profile. 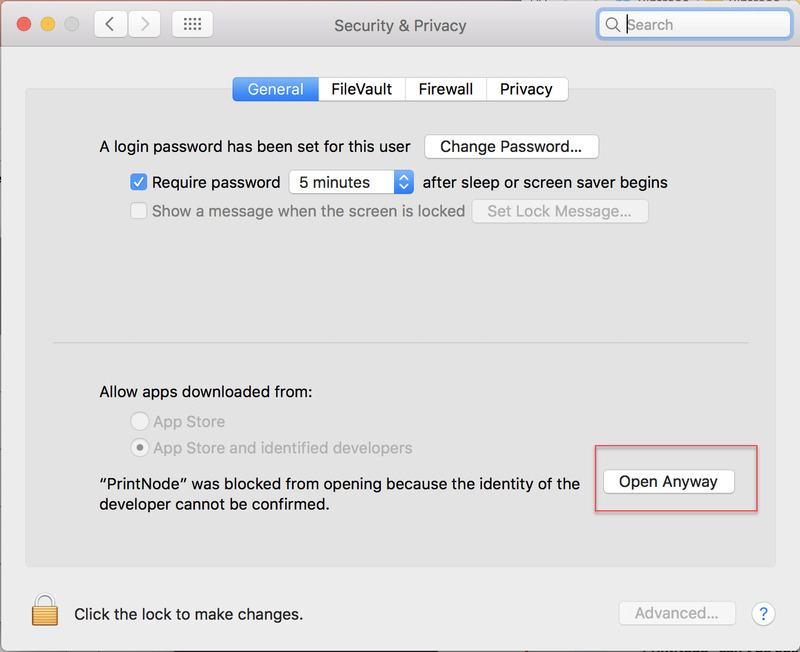 To setup your cloud printer go to Winery Setup > General > System Policy and click the Cloud Print icon beside the Lab label printer field. In the vintrace Cloud account setup screen, enter all the necessary information such as Firstname, Lastname, Email, and Password. Then click on Save button. 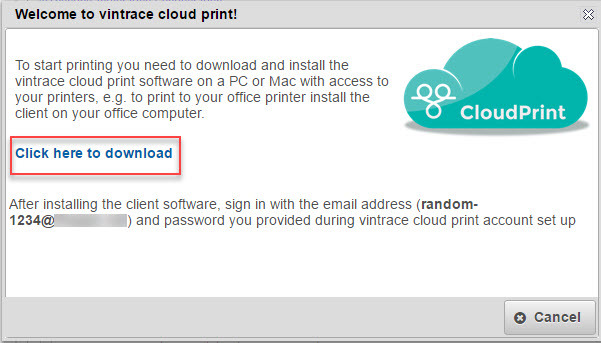 Important: Please note that the email and password you enter to setup the cloud print account will be the same email and password that will used to sign-in by other non-admin vintrace users in your winery to use the cloud printer. In the next screen, click on the Click here to download link provided to download the Cloud print software. 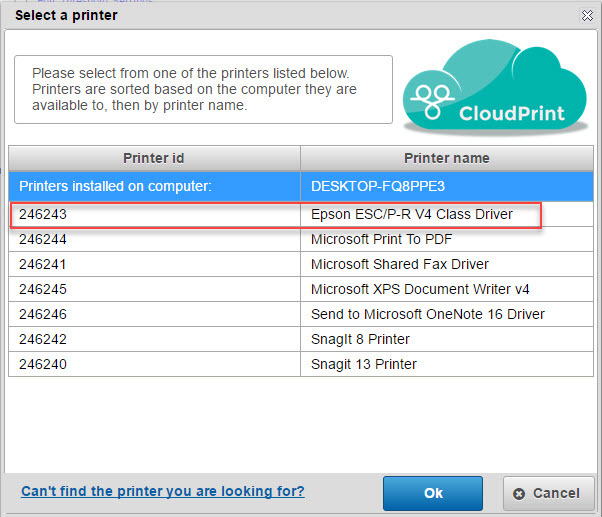 After the cloud print software installer has been downloaded, double click on it. This will bring up the setup screen. 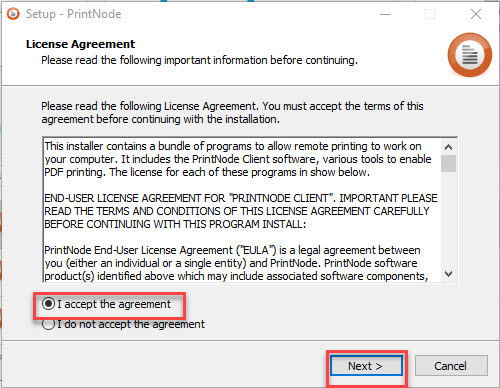 In the License Agreement screen, tick on I accept the agreement button and then click on Next button. 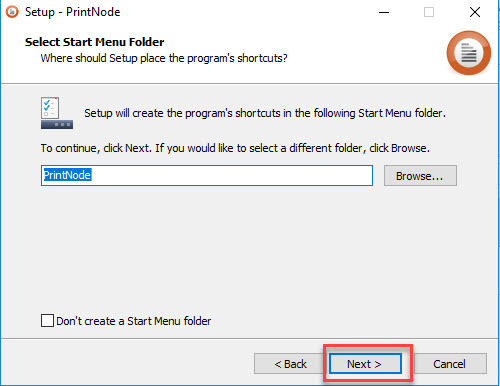 Select the folder where you want to install the software or you can use the default selected folder then click on Next button. 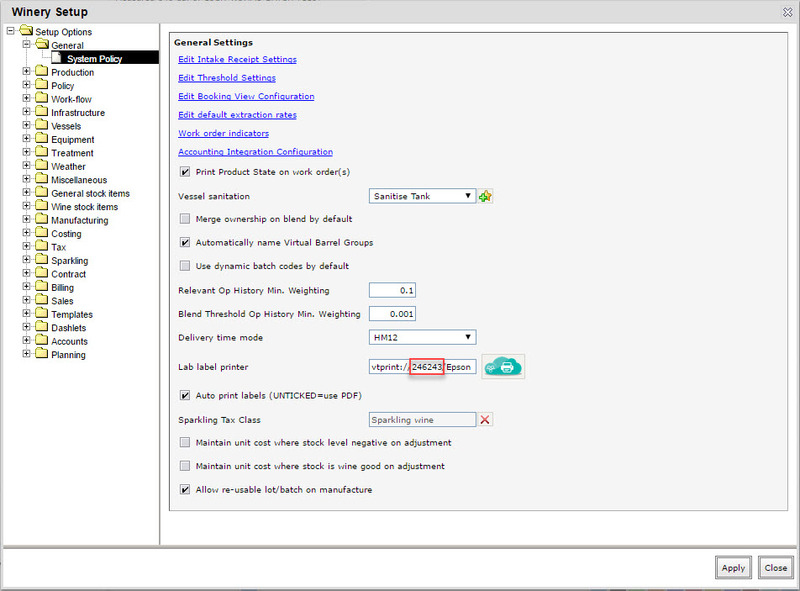 Tick on Create a desktop shortcut checkbox then click on Next. 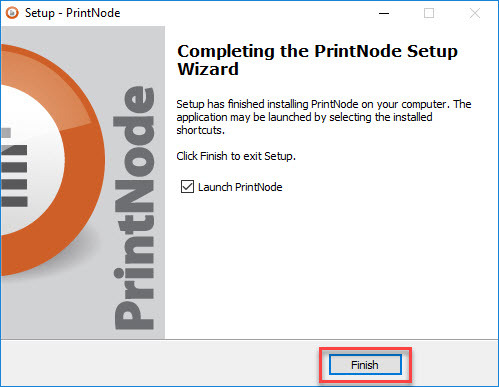 Tick Launch PrintNode then click Finish. 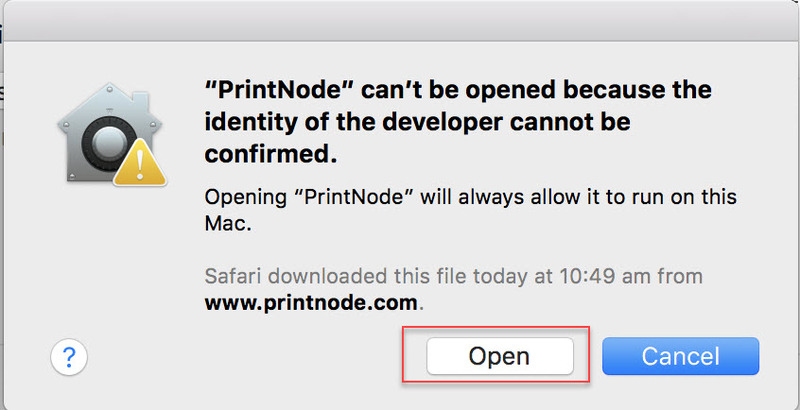 This will bring up the cloud print client. Enter the email address and password that you have used to register an account in the previous steps and then click on Sign In button. 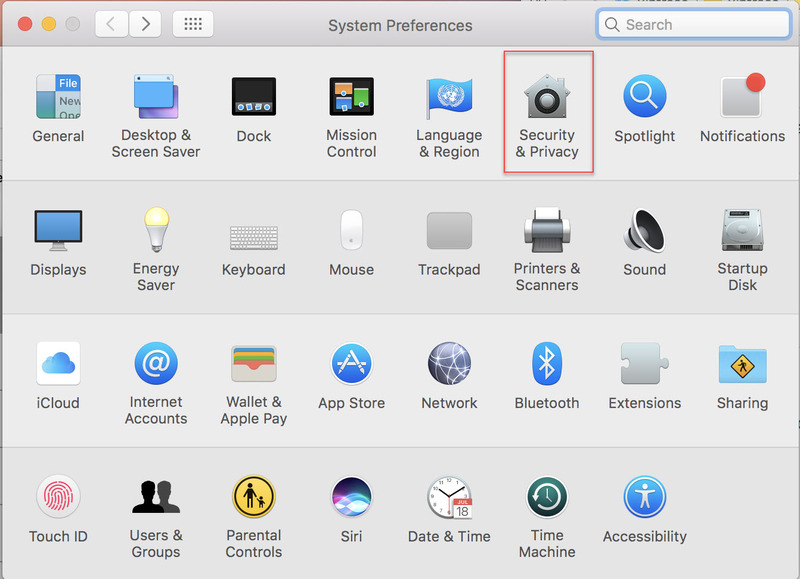 Go to System Preferences – Security & Privacy. 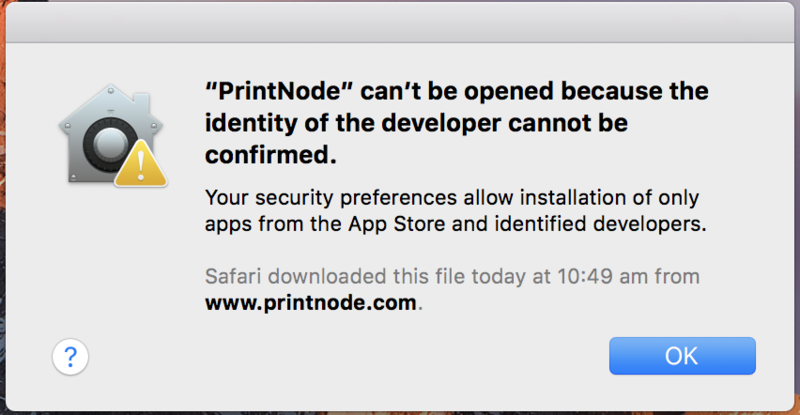 In the bottom of the Security & Privacy dialog, there’s a message saying that PrintNode was blocked from opening because the identity of the developer cannot be confirmed. Click Open Anyway. Click Open in the dialog that comes up. 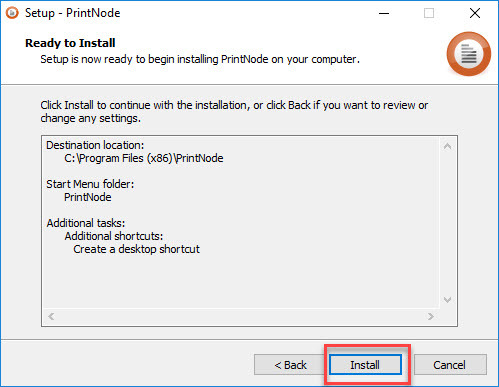 You can then proceed to complete the Cloud print client installation steps. 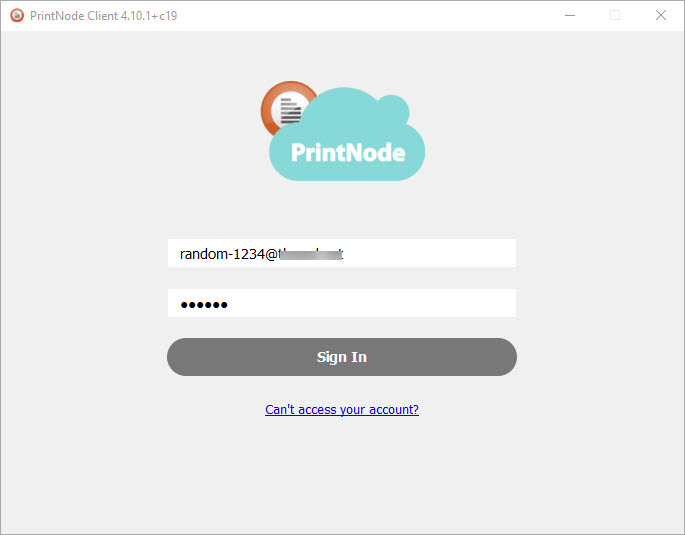 After you have logged in to the cloud print client software, go to Winery Setup > General > System Policy and click on the Cloud print icon beside the Lab label printer field to select the printer you want to use. Click on the printer you want to use then OK. In the Lab label printer field, the selected printer id will be set. System is the highest level – this print service can be used by other non-admin vintrace users. Follow the instructions above. Winery is for those clients working in a multi-winery environment. Setting Cloud print up at this level restricts usage to just that winery for that printer; other wineries in the group may set their lab printer independently. Laboratory is used when you want to print a specific lab’s label to a specific printer. System user is used when a user wants to specify a printer for all lab requests submitted by them. Head into Winery Setup > Work Flow > Defaults > Winery tab. Choose the Winery from the drop down menu on the right. Head into the Address book; select Laboratory from the Organization drop-down. Pick the laboratory you want; click Advanced; head into the Roles tab and select the Laboratory role. 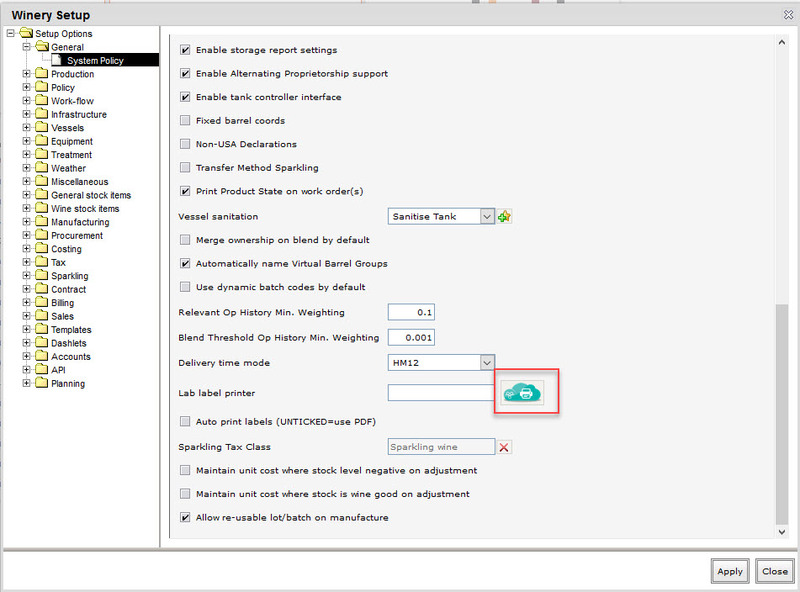 Click the Cloud print icon and select your lab printer. Head into Winery Setup > Workflow > Defaults > User tab. Select the desired user from the drop down list. If you don't see your printer, ensure that is set up as a network printer; Cloud printing can't be done to a printer that is attached to a specific computer as a non-network printer. If the label printer changes, you may need to find and choose the new one. 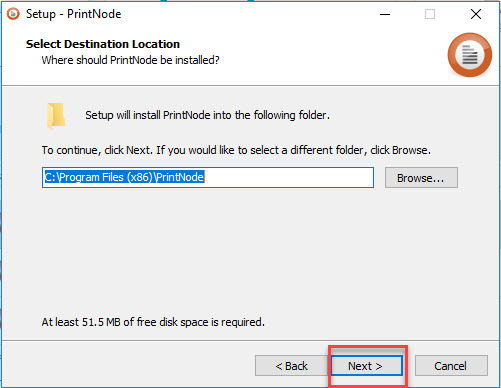 Return to the Winery or User tab, click the PrintNode/Cloud Print icon, and choose the new printer. Click OK to complete the change over.